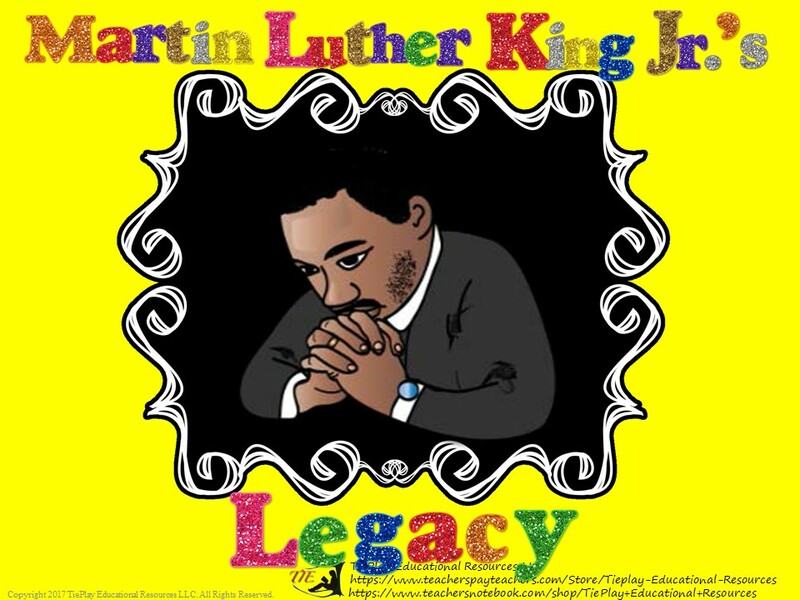 includes: directions to the teacher, MLK Jr. story and quotes, video links, links to printable lessons, 46 task cards, keys, and 2 student awards cards. 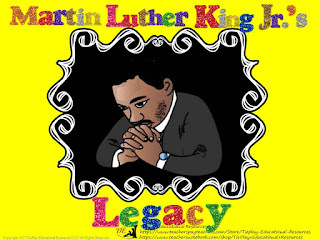 This lesson is aligned to Common Core State Standards. 4. RL..1 Ask and answer questions to demonstrate understanding of a text, referring explicitly to the text as the basis for the answers. 4. RI.10 By the end of year, read and comprehend informational texts, including history/social studies, science, and technical texts, in the grades 4–5 text complexity band proficiently, with scaffolding as needed at the high end of the range. 4.RF.4. Read with sufficient accuracy and fluency to support comprehension. a. Read on-level text with purpose and understanding. b. Read on-level prose and poetry orally with accuracy, appropriate rate, and expression on successive readings. c. Use context to confirm or self-correct word recognition and understanding, rereading as necessary.